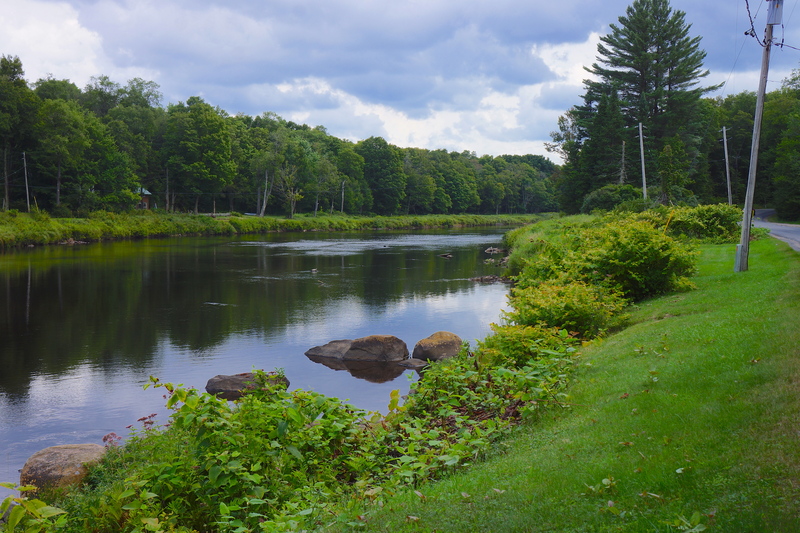 A view of the Salmon River from our bike route today. Between a lack of internet connection at one hotel, not feeling well one day, and two wonderful evenings with six Philadelphia friends, Steve & Nancy, Ted & Kristin, and Jim & Nini, I have fallen four days behind in my blogs. I am going to try to get as many posted as I can today (August 14th). Today’s scenery was beautiful. 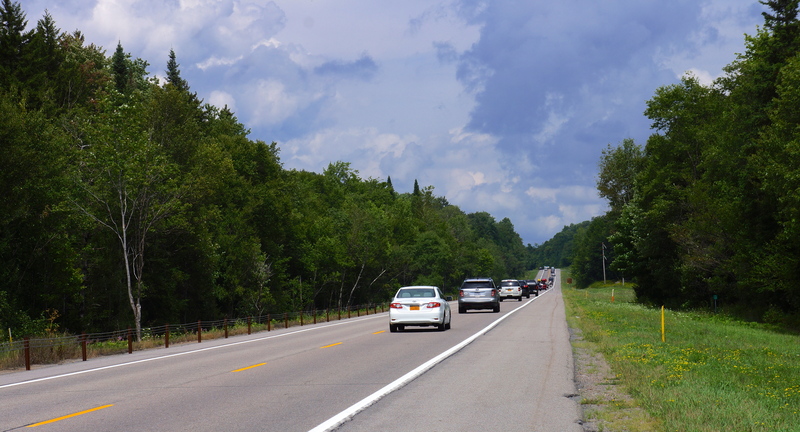 However, the threat of rain all day and heavy traffic for the last 10 miles on Route 28 detracted from the experience and left we with few opportunities for photos. I left early this morning and took few breaks based upon the weather forecast. 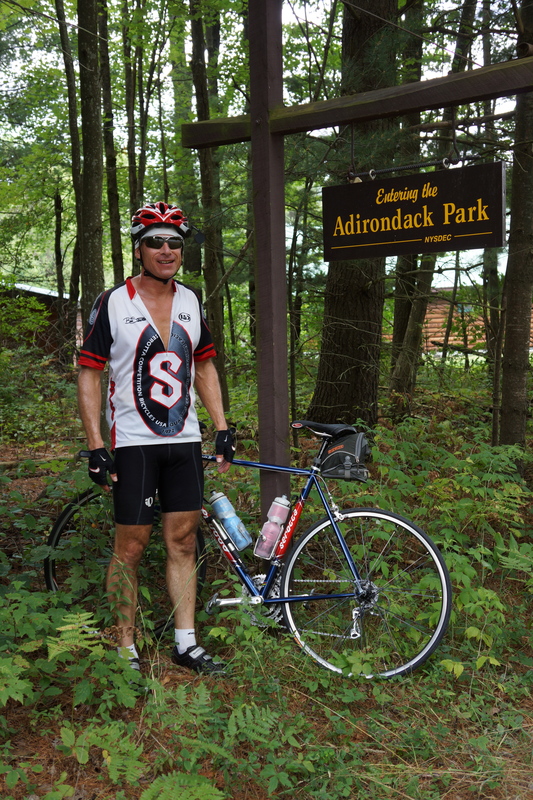 Good decision – the rain started 3 miles from the Old Forge hotel so I only had about 10 minutes of biking in it. The downpour started just as I arrived at the hotel. Many in our group biked an hour or more in a downpour today. Unfortunately, one rider took a wrong turn and rode over 20 miles in the wrong direction as well. All bad weather was forgotten as my friends Nancy and Steve graciously hosted Doug, Robert, Jim and me at their vacation home near Old Forge for the evening. 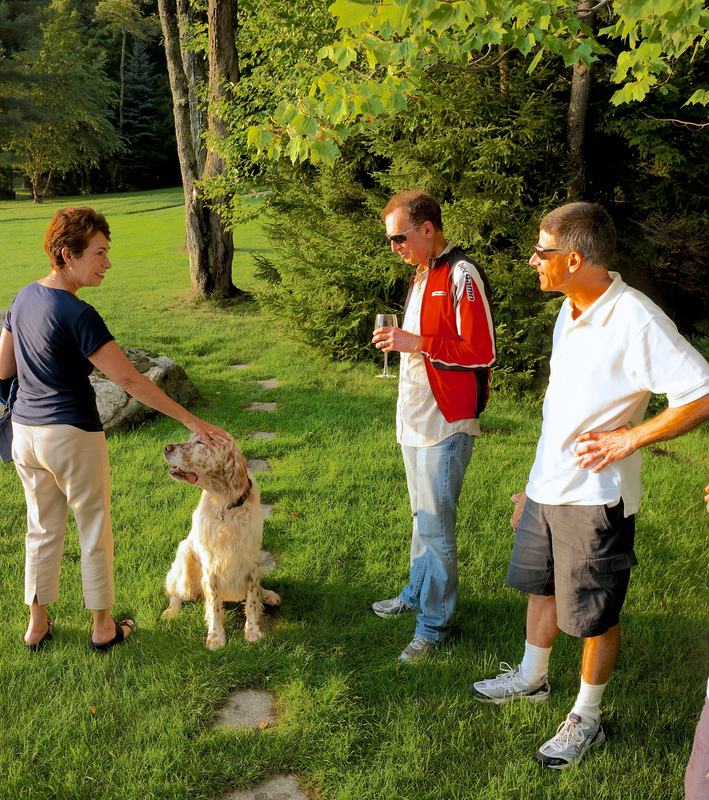 The sky cleared, we took a boat ride on First, Second, and Third Lakes, met their dog, Parker, had our first delicious home cooked meal in nearly two months topped off with great wine, and exchanged stories of our trip and the Andirondacks. Thank you Nancy and Steve. 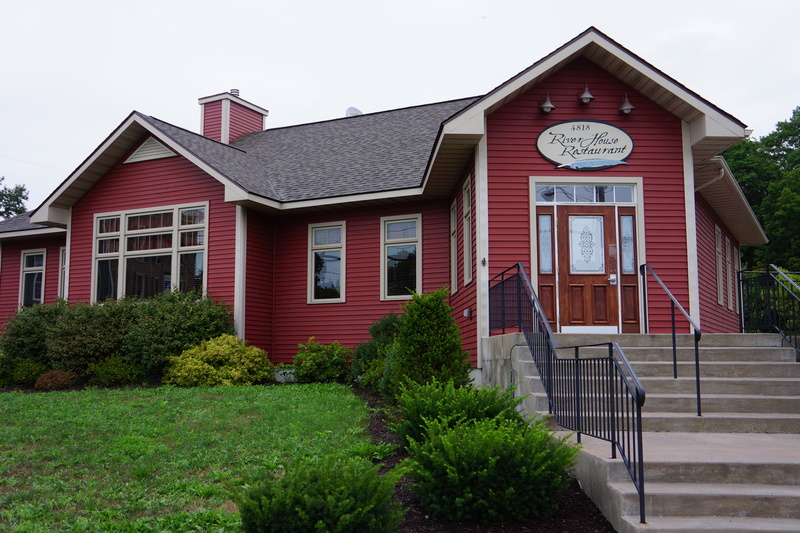 The River House Restaurant pictured above was the location of our dinner last night in Pulaski, NY. Great meal – highly recommended. 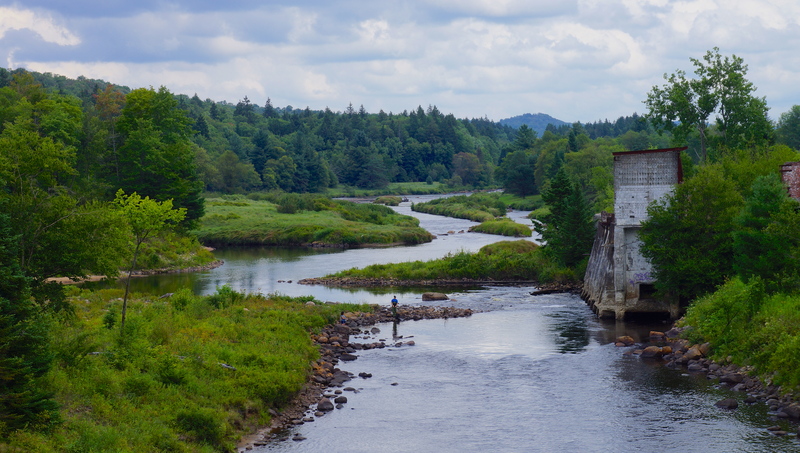 A view of the Salmon River which paralleled our bike path for the first part of the ride today near. A view of Route 28 which we biked today. While the road was good, there was a lot of traffic which took away from the experience. 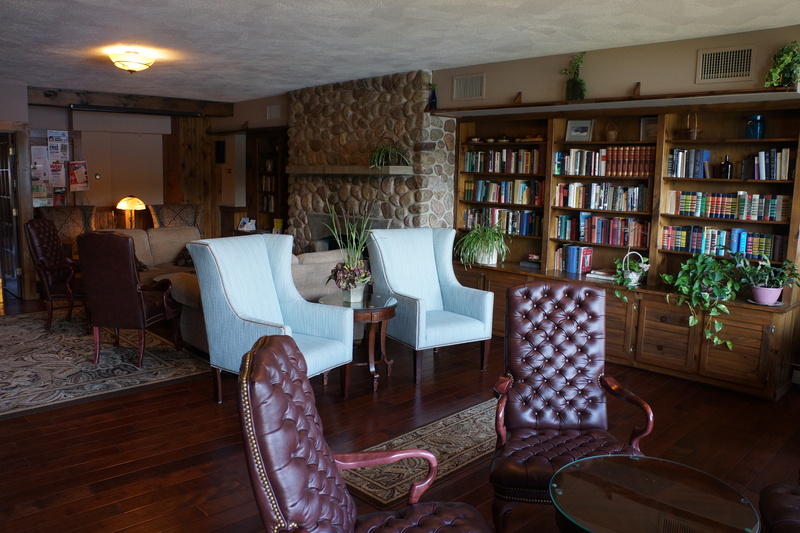 A view of the reading lounge at our hotel in Old Forge, Water’s Edge. 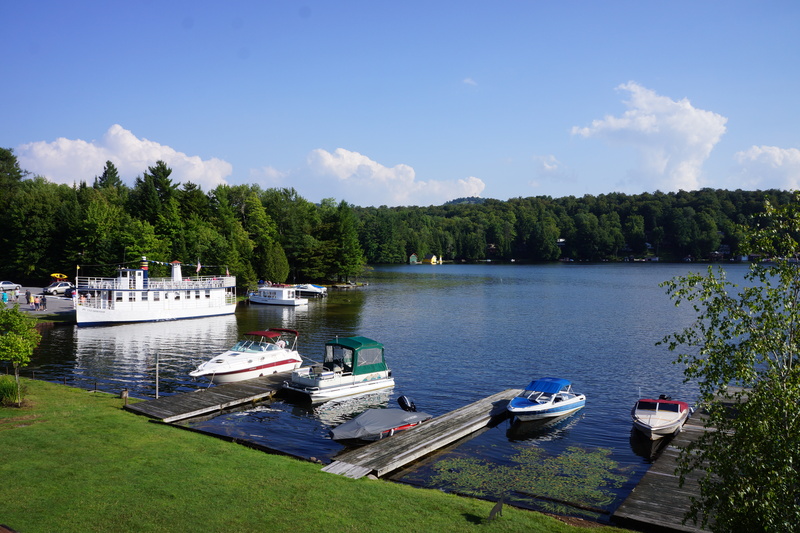 A view from the reading lounge of our hotel in Old Forge, Water’s Edge. My friends Nancy and Steve, who have a vacation home near Old Forge, generously hosted a evening and dinner for Jim, Robert, Doug and me. 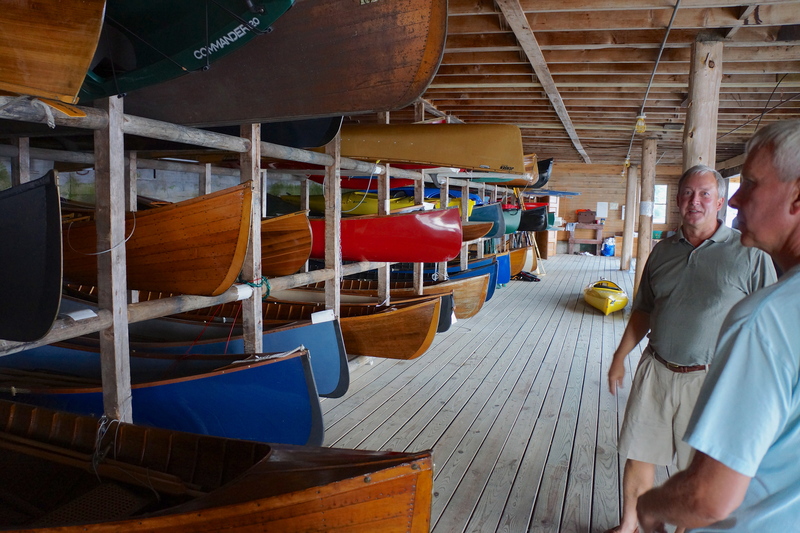 Pictured above is Steve giving us a tour of the canoe collection at a lake reserved for non motorized boats. 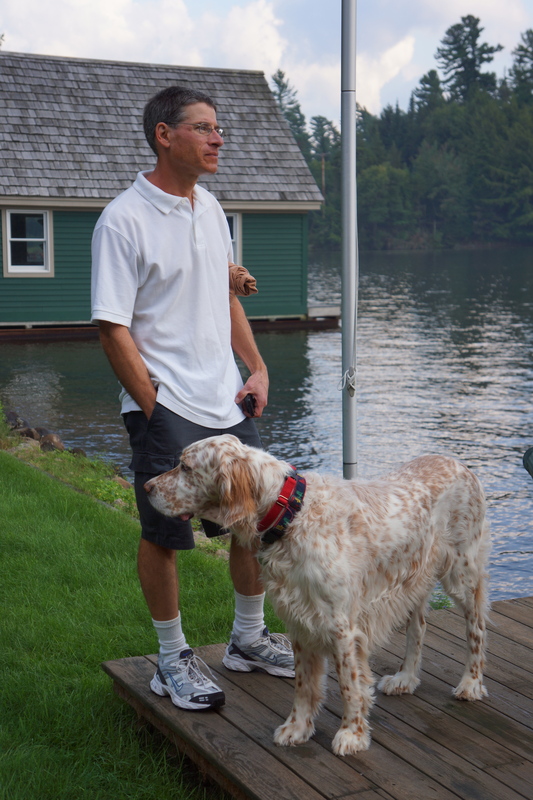 Doug pictured with Steve & Nancy’s dog, Parker. 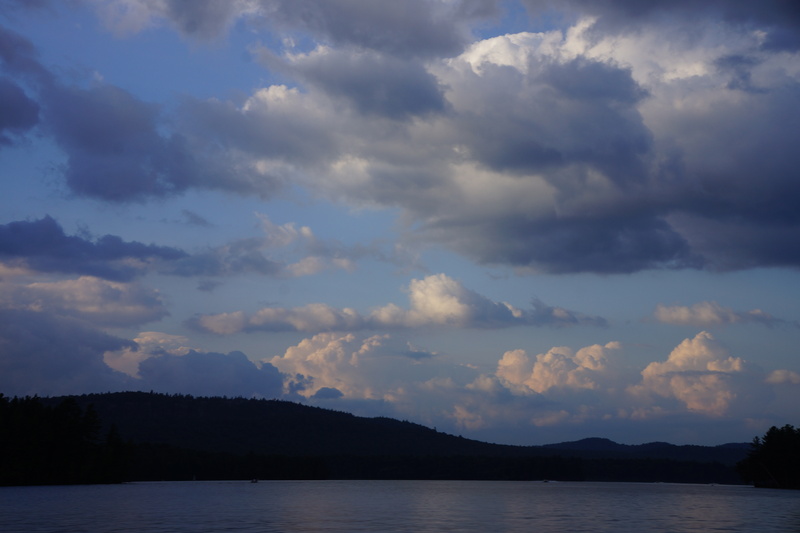 View of the evening sky while we were taking a boat ride with Steve and Nancy on Third Lake. 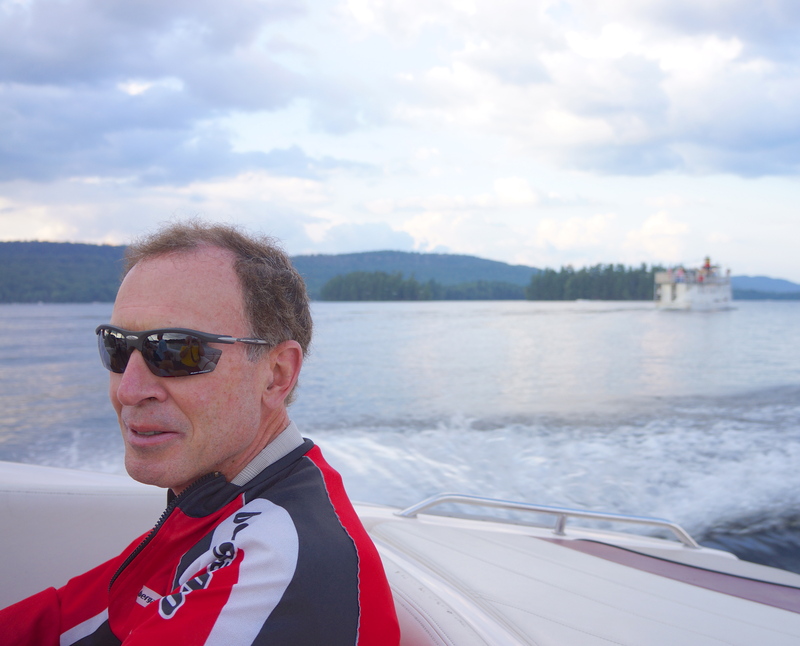 Robert on our Third Lake boat ride. Nancy with Parker, Robert and Doug. This entry was posted on August 14, 2012 by Steve. It was filed under Photograph of the Day .